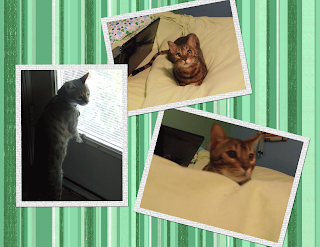 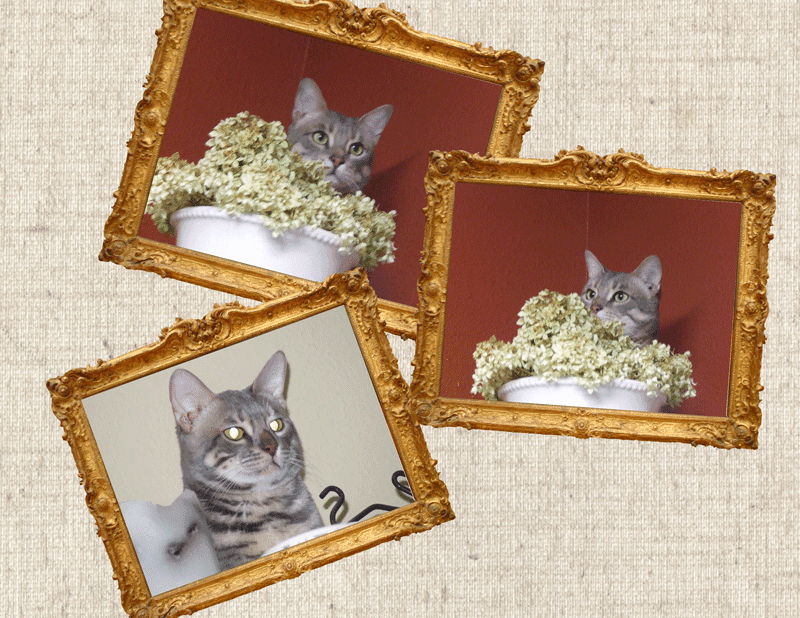 In the last year I have fostered 6 Bengals through Great Lakes Bengal Rescue GLBR and adopted 2 of them. 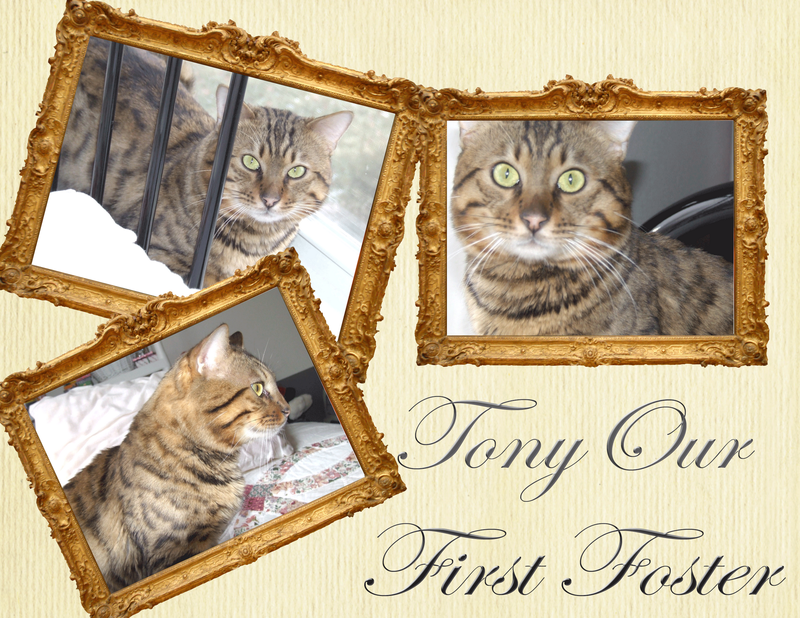 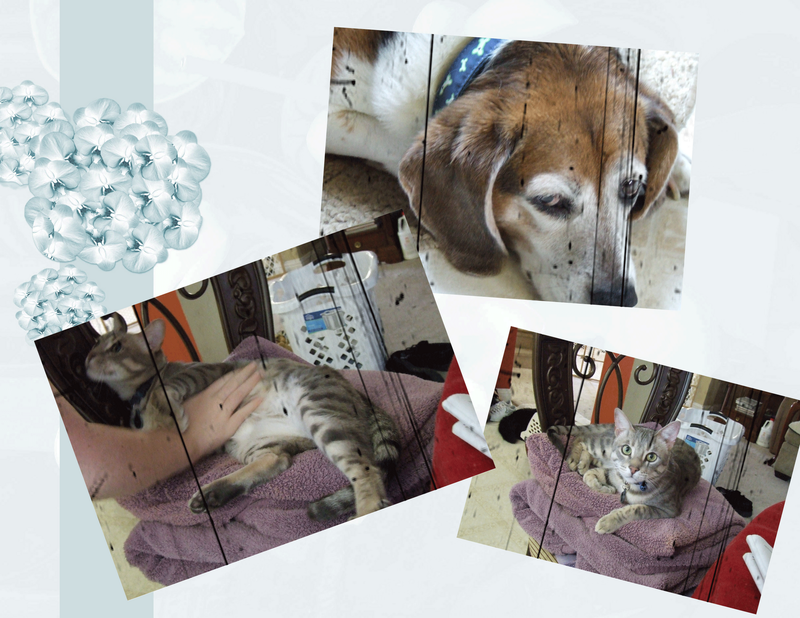 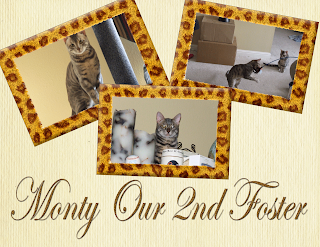 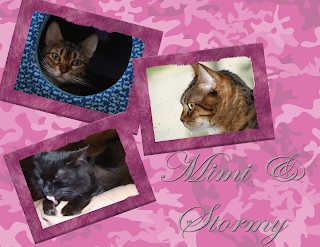 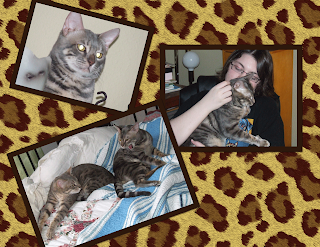 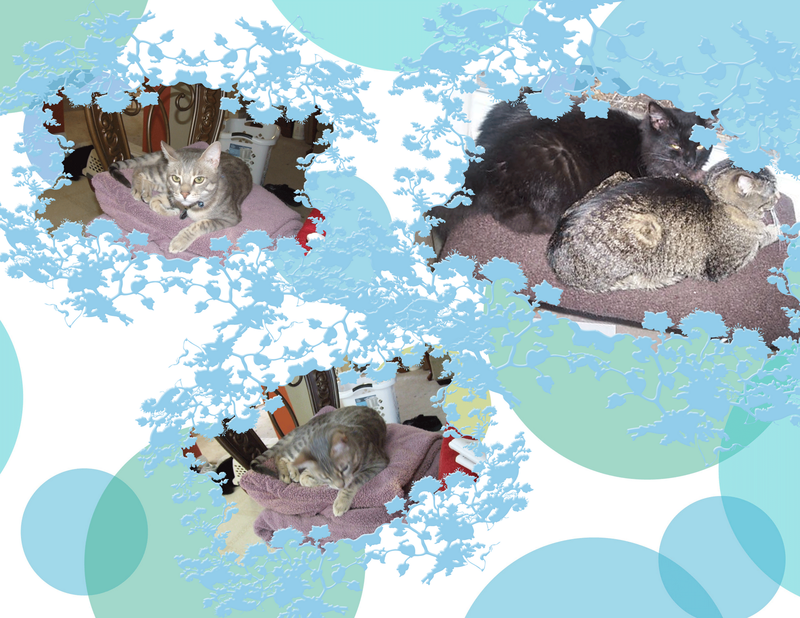 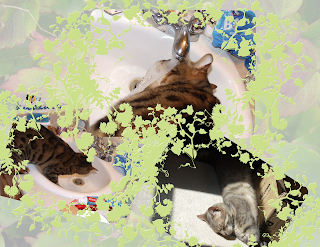 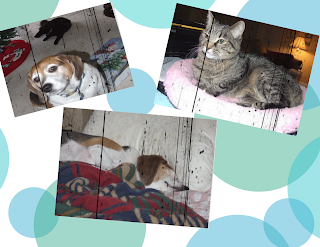 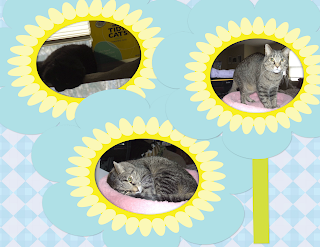 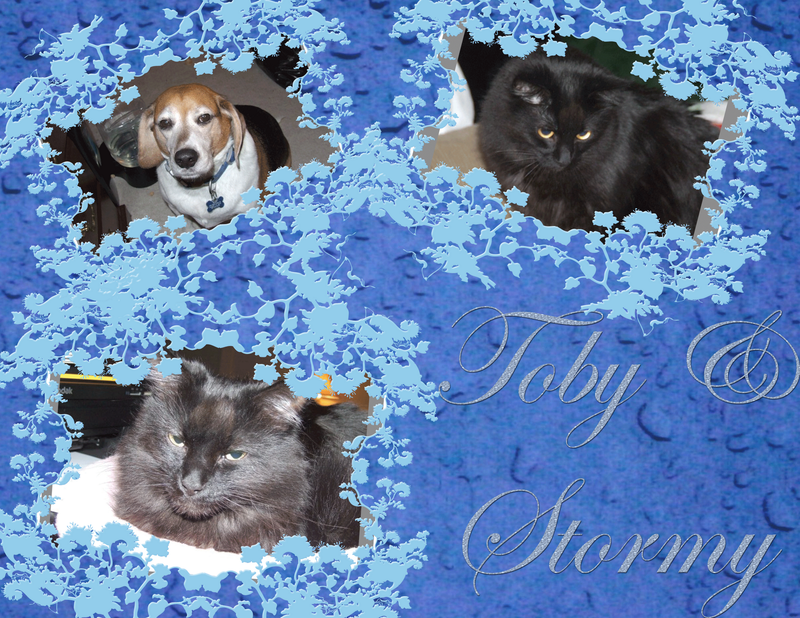 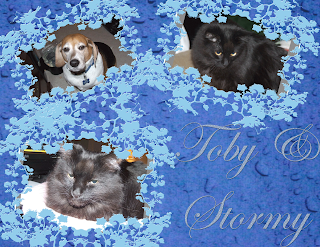 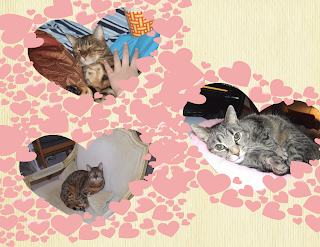 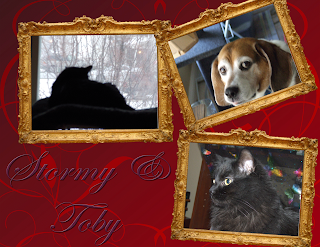 In these photos are my fosters Tony, Monty, Mimi, Jasmine and my own pets, Toby, our beagle and our four cats Maximillion (the tabby), Stormy (our black kitty), Rajhi and Lola (our 2 bengals). 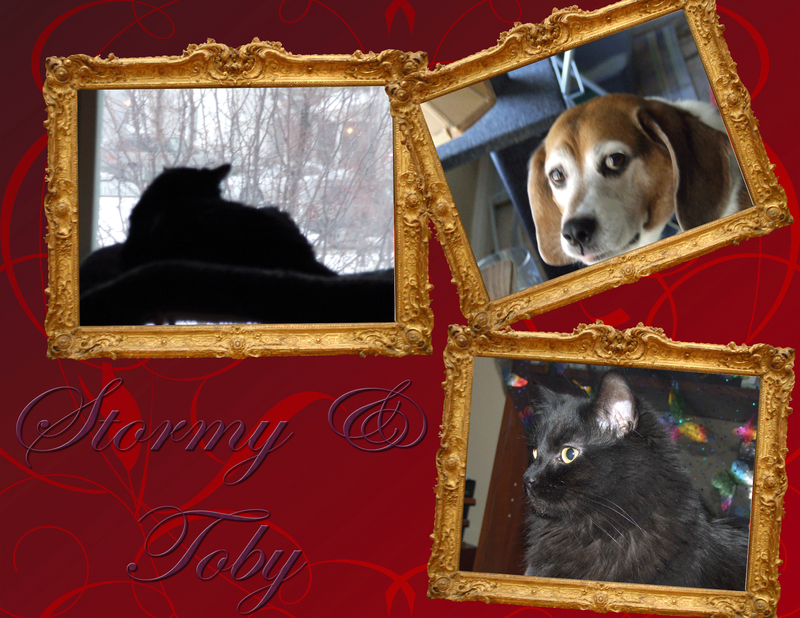 I hope you enjoy these as much as I enjoyed taking them. 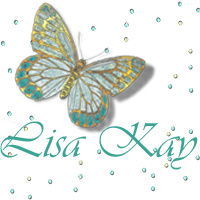 G'eve Lisa ~ How sweet of you to foster, how fortunate for them all.